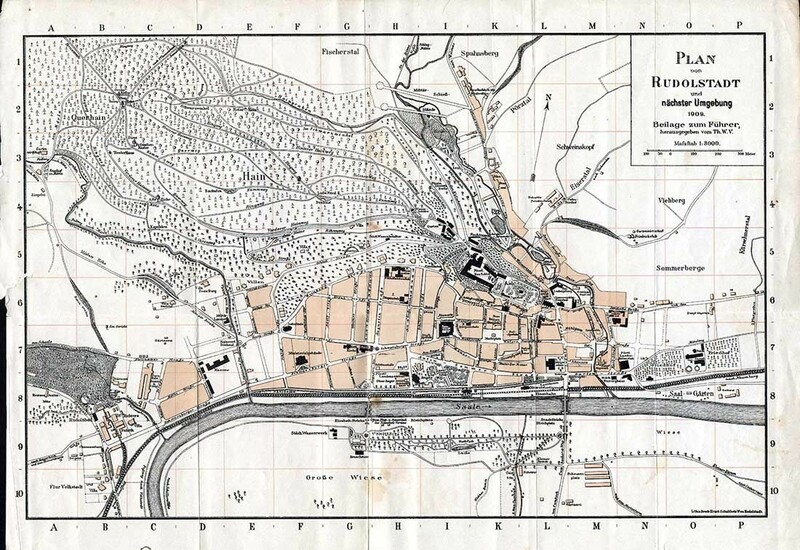 The city plan and map of Rudolstadt from the year 1909. 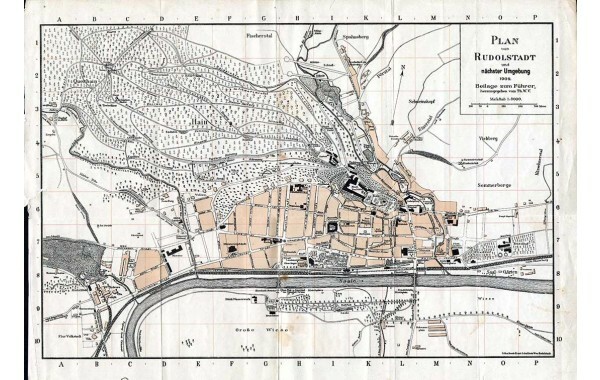 Includes the area of the Anker Stainbaukasten factory in the lower left corner. The download contains a high resolution version.